Forever riding the sporting rollercoaster of emotions. 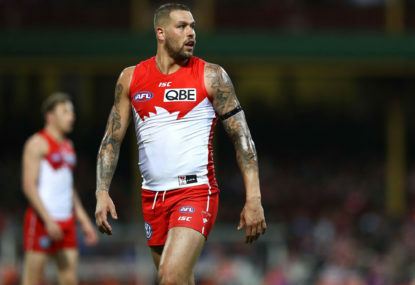 After four rounds of the AFL season, trends begin to emerge and we can start to see a pattern as to what works and what doesn’t. David Warner should not be in the World Cup squad that travels to the UK in late May. 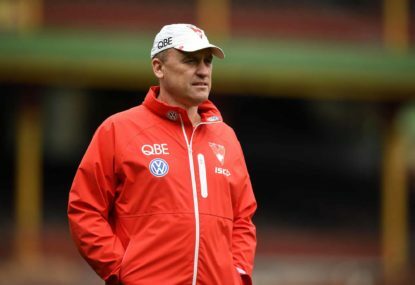 The Sydney Swans host the Adelaide Crows in an important Round 2 clash at the SCG on Friday night. Join The Roar for live scores and coverage from 7:50pm (AEDT). 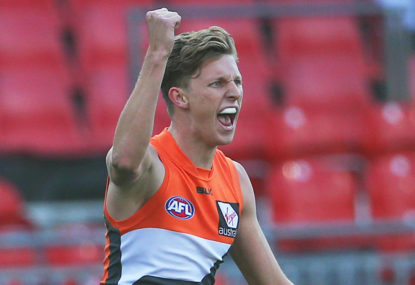 In the third part of the definitive guide to AFL 2019, I look at a true mix of successful and unsuccessful clubs who will face their varying challenges through this year. 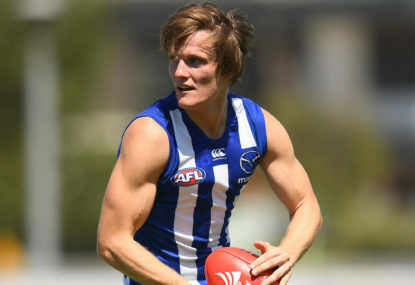 With the season less a day week away, it’s time to look at Part 2 of the definitive guide to season 2019. Only two rounds are left and the finals spots in AFLW are still up for grabs, giving the conference system some sort of tick. Australia cannot be competitive in the World Cup with the level of inflexibility in the current set-up. Match result: Richmond defeated Melbourne by two goals at Deakin Reserve in both clubs’ first hitout of the preseason. With just three rounds left in the season, AFLW has really begun to heat up. 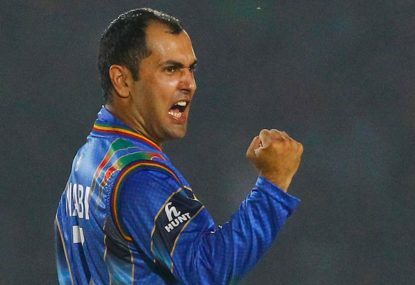 After a record-breaking T20 performance against Ireland, it is no surprise that headlines are once again dominated by Afghanistan in cricketing circles. Three rounds down and it’s obvious that the conferences are heavily skewed. That’s not all that became obvious in Round 3, as we look to unpack the teachings we were offered this week. 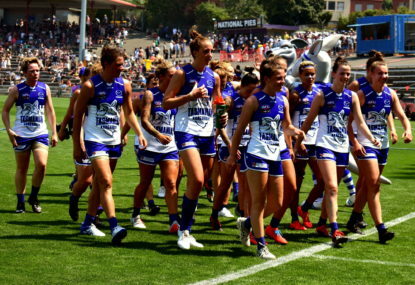 North Melbourne Kangaroos hosts the Western Bulldogs in a clash of the top two teams in the competition at the University of Tasmania Stadium on Friday night. Join The Roar for a live blog and scores at 7:15pm AEDT. 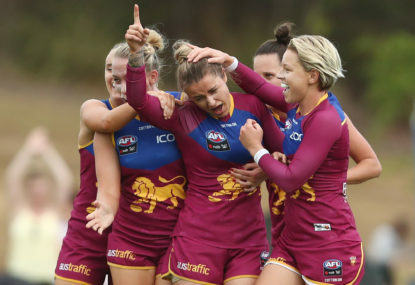 With the first two rounds of the AFLW season done and dusted, results are already an indication of what can be expected from the rest of the season. 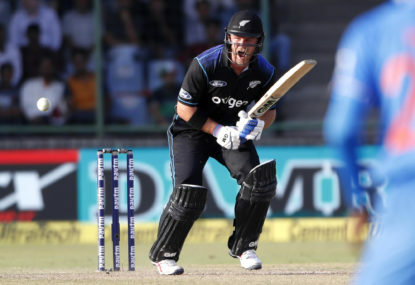 The World Cup is a one-horse race in 2019, with the small and picturesque grounds of the United Kingdom sure to provide high-scoring cricket and great entertainment. 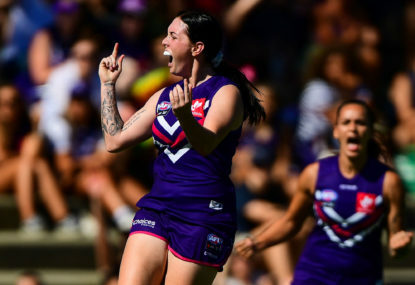 Round 1 of the AFLW season is behind us and already we have seen four high-quality contests and an overall improvement in consistently entertaining spectacles. The Melbourne Demons host the Fremantle Dockers in an opening round clash at Casey Fields on Sunday Afternoon. Join The Roar for a live blog and scores at 3:05pm AEDT. The third season of AFLW starts this week, with the league expanding to ten teams. 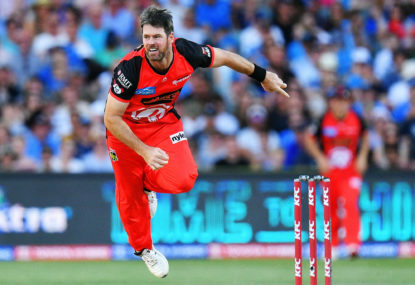 After three losses in a row the Melbourne Renegades will hope that they can become the first team this season to topple the undefeated Hobart Hurricanes. Join The Roar for live scores and a blog of the match, starting from 7:15pm AEDT. Appreciate the feedback Keith. My view is that if you aren’t a proven high performer in the last two years, you cannot be treated as such in the present. IPL runs are great in a different format of the game and it will likely give him confidence for the future. 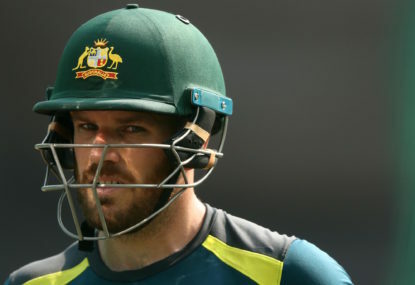 However, Australia has chosen to stick with a largely settled ODI series, and squeezing Warner in for the hope can recapture his form from when he wasn’t quite 30yo. The team is volatile enough as it is, not sure now, when there’s a semblance of stability, is the time for this selection. Very keen to hear your thoughts on the issue! 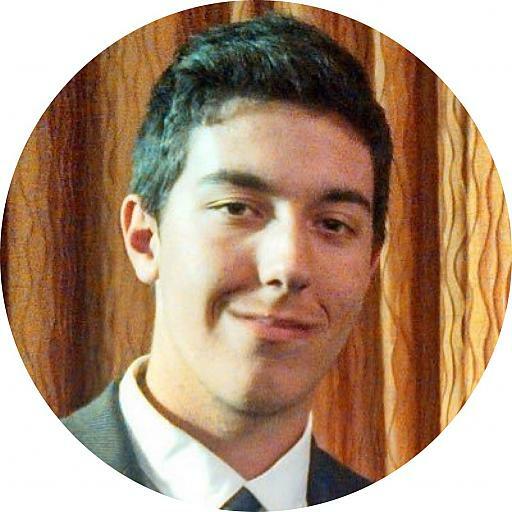 Hey Ronan, love reading all your pieces. 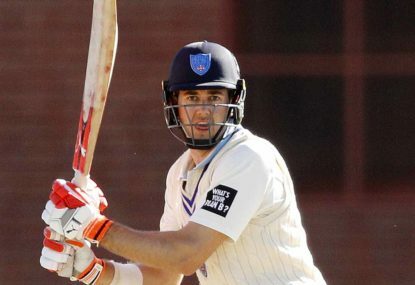 Longer term yes, he was accepted to be one of the most damaging batsmen going around. In the ODI matches before the proverbial hit the fan, however, there were vocal critics due to his and the team’s failures, rightly or wrongly. I disagree with the notion of many that citing his form from some 24 months ago and before then is the key reason behind his re-inclusion, when we’re talking about a 32-year-old who hasn’t played under the pressures of international cricket for a long time. 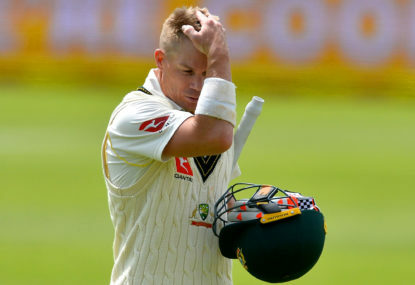 Warner is coming off a year where he hasn’t played any cricket, which followed a mediocre year where he was barely in Australia’s best handful of batsmen in the format. It’s naive and ultimately misguided to suggest a 32-year-old coming off his last two years is all of a sudden Australia’s best ODI batsman. Needing to bat second is hardly a strong tactic, as it’s openly admitting that when Australia bats first, they’ll lose. Your point in mentality though, that’s where all this is at. Australia is too rigid, and the messaging is clearly inflexible. Let players be themselves and play how they want. It would change the entire perception of the team immediately. As for the 5th bowler, sure Maxwell could get carted, but that’s where fluid captaincy is required. He bowls 3 overs and goes for 20, throw the ball to Stoinis. Stoinis goes for 20 off 3, throw the ball elsewhere. There are enough options to find 10 overs. Overall, rigidity is the killer of freedom and creativity. It’s why Maxwell’s success in the T20 was so appreciated, he wasn’t hindered by constraints usually placed around him. Absolutely, she was an absolute gem on the weekend. Tweeted a fair bit about her efforts but she has that perfect mix of height and genuine athletic ability. Will be a handful for opposition defenders. I tend to agree, the expansion is happening too quickly and may create a situation where the gap between the best and worst stays large for a number of years. Don’t see the need to rush, but it’s going to happen, hopefully the positives outweigh the negatives. Macca, I’m happy to be purely analytical and unpack Collingwood’s inefficiencies in attack and the issues with the tactics in future articles, but the purpose of this piece is to highlight what came out of the weekend’s games. 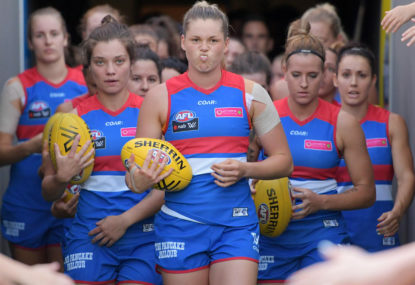 In terms of positivity and negativity around the reporting of AFLW, there is a difference between analysing and producing a piece on why teams are playing poorly, or certain trends league-wide that are concerning, versus what a fair portion of “haters” on social media discuss. Everyone knows that the league will continue to improve, it’s still in its infancy. 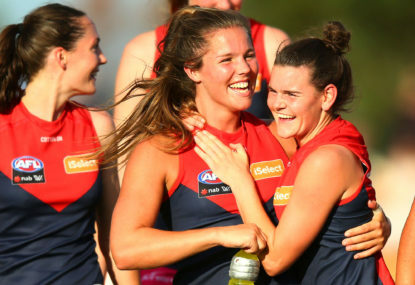 This notion of positivity and negativity stems from an individual’s agenda – are they happy that AFLW exists and are keenly following it for not only the entertainment, but the societal importance and just want to see the product at its best, or are they plain and simply against women’s footy and the mainstream coverage it gets creates an unhealthy necessity to complain on social media. Personally, I know what camp I’m firmly in and will continue to watch, analyse and write about what I see, which is the same in every sport and every situation, whether it be viewed as positive or negative. I very much appreciate you reading the piece and providing discussion because everyone here is excited for what the future holds and the inevitable, continued improvement, even though more clubs coming in may create a situation where the near future sees a larger gap between the best players and the rest. I think not having Short in the final squad is a big mistake, him simply as cover for S.Marsh is a waste of his talent. Overall, the squad is reasonable, interesting to see how the bowling goes with the Richardson boys as the main strike weapons with Cummins and all-rounders. Ultimately, I still think Australia is a level below the Indians and don’t think it’ll be a particularly close series. However, when it comes to the World Cup, Ponting’s influence is going to be huge. I can see us being another dark horse for the tournament, purely through the genius he can provide us. The lead-up may be tough, but I think as time goes on and we approach the WC, we’ll be alright. Thanks Paul, I really like the limitless potential of New Zealand, and feel the hot-and-cold nature of a team like this is lessened if they find early form. The opening fixtures and naturally impressive numbers of their players in the UK has me excited about their chances. Lock it in! Based on history, that’ll also be the attitude of the selectors. Spare a thought for the likes of Callum Ferguson at this moment. Thanks for that James. You’re right, the injuries must be frustrating and obviously have an impact. Starc, to me, has always been a bowler that can be attacked and our reliance on him is dangerous. Hopefully hitting that pace in short, sharp bursts instead of being the main go-to is what eventuates, because that’d certainly help him return to that peak form. You’re right about Johnson and Starc, maybe the brilliance mixed with the erratic nature of their bowling is what makes them spectacular. But with our current batting, we need Starc firing. It’s the game’s most popular format domestically. Given Australia is having issues developing talent like no other country, using the T20I team to bring new talent in can be extremely beneficial. Theory is based on development. Sri Lanka are doing just fine for themselves. Respectfully disagree, genuine ball winners like Nelson and Bolton, to a lesser extent, would immediately improve Fremantle’s midfield depth and have an impact straight away. Help bridge the gap so pressure isn’t on the younger player straight away, it won’t stop young guys getting games. I agree, my thoughts are it won’t take long if the trigger is pulled now. He has fixed his game up to be a genuine batting option, I’m eager to see it fast tracked as opposed to waiting a year before he plays FC cricket again. There is still hope for Pattinson! Have a genuine belief that he just needs a good run with injuries to once again feature, and it’s more than likely coming from his batting side. Desperately hope he can realise some of that potential. Thanks for the comment, love the discussion! I’m a fan of the talent in Queensland, but just feel all those moving pieces compared to the rest of the competition gives a little mark down. Sunday’s game will tell us a fair bit though! Agreed on Wilson, I personally think he will be in that bracket with Ryan/Pearce/Walters to push for top five. As for the voting system, Fyfe was that good in his games I’d be shocked to not hear his name in the top five! Geelong obliterated Fremantle by 133 points in one of the worst performances of 2018 by the losing team. Geelong broke all sorts of records, kicking an astonishing 23 goals in a row after quarter time to put aside a disappointing start to the game. In terms of positive for Fremantle, Nat Fyfe played and finished with 37 disposals. This performance almost guarantees Geelong’s spot in the finals, particularly after Port Adelaide’s loss earlier in the day. The Cats sit inside the top eight with an excellent percentage and face the lowly Gold Coast Suns in the final round of the season. 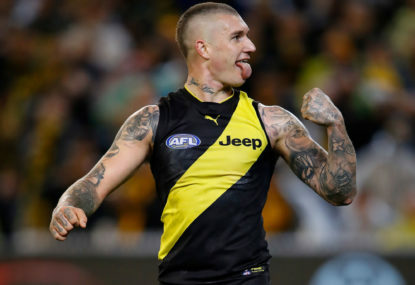 Most of the home team’s players were good on the day, with Tim Kelly (26 disposals, 3.2), Tom Hawkins (22 disposals, 6.1) and Sam Menegola (27 disposals, six marks, 1.0) the three likely to be involved in the Brownlow votes. With only one week left in the season proper, there will be two different mindsets heading into the final round. Geelong will look to demolish Gold Coast in a similar manner, while Fremantle will be hoping to at least get within 50 points of Collingwood based on this performance. It was an ugly game for footy purists, but Geelong’s record-breaking display will put some fear into those sides finishing 5-8 on the AFL ladder. This game is finally over. One of the worst performance ever seen in the final three quarter by Fremantle, who scored five points compared to 147 from Geelong. Those who continued to follow the blog and watched the game should be congratulated, this was one hell of a shellacking. Thanks all for joining me. There’s a special bond among all those who watched every minute now. Patrick Dangerfield is tackled high 15 metres out. He misses. It’s the equivalent of turning up late to the party, and only the parents are home. Everyone else has gone. 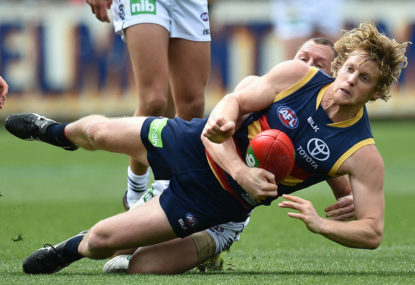 No sense of occasion for Dangerfield. A round of applause at GMHBA stadium for those still watching the game. Tom Hawkins misses from outside 50. He can still win the Coleman despite being five goals behind. Ryan Abbott took a mark where the ball literally landed in his lap. Good sign. He missed. I have a pearler of a call if Fremantle can kick a goal. Taberner doesn’t make the distance and it’s punched through.